Leading Exporter of food packing machine and packing machinery from Coimbatore. 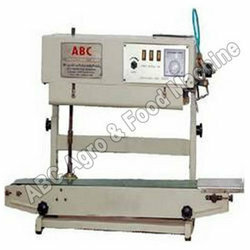 We offer a comprehensive assortment of Food Packing Machine. Paramount in its class these machines are fabricated using highest quality raw materials. Manufactured in our state of the art production unit with the help of experienced engineers and technicians, these machines are suitable for different sizes and heavy production. 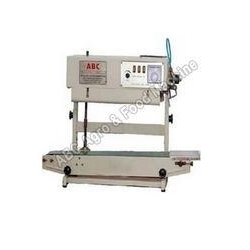 We provide these supreme quality packing machines with industry leading price. The product we offer is Packing Machines, which is the best as this is quality tested under the stringent guidelines of our quality analysts. These low maintenance machines are fabricated using high grade raw materials. These high production machines are apt for packing groundnut chikkies, alwa and milk gova. Some of the attributes of these high tech machines are durability, supreme performance and easy to install.